2019 Fish Badges are available! * You must be a member to fish at the pond and you must have an Ontelaunee fishing badge. The badge is $10.00 to get one call 610-298-2265. This money helps pay for the fish and the upkeep of the pond. The detailed fish pond rules are given to you when you buy a badge. The club stocks the pond with Rainbow trout, Brook trout and Brown trout. There are also some catfish and bass in the pond. The pond is stocked twice each year. 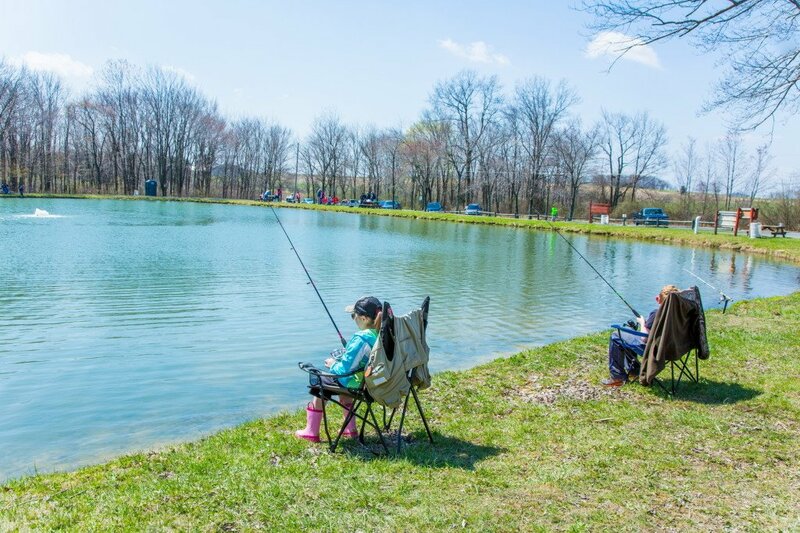 * During the youth fishing contest the child is not required to have a badge but must be accompanied by an adult member. 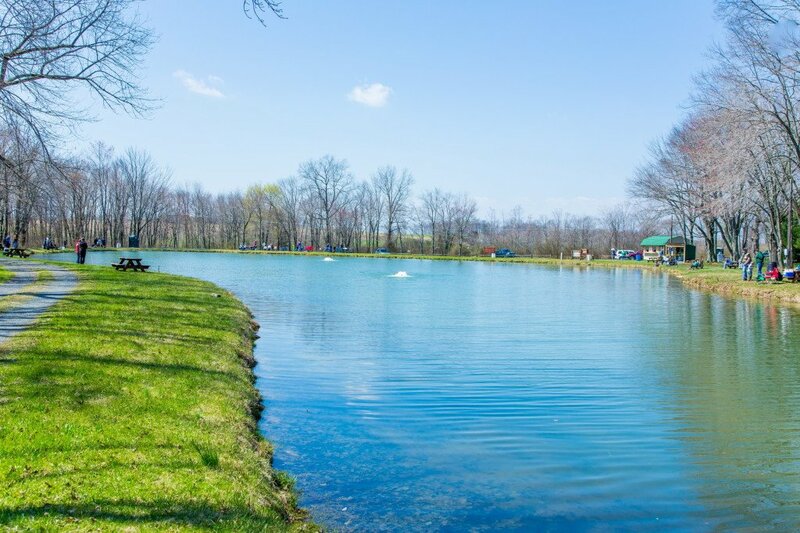 If you have any other questions about fishing contact Terry at 610-767-8503.